The year was 1931. It was an October morning at the Los Angeles station and a train from Phoenix had just pulled in. As the luggage was being loaded off the locomotive and onto the platform, baggage agent, Arthur Anderson noticed that two particular trunks were giving off a strange odor. Suspecting contraband of some kind, Anderson asked the young owner for a key so he could look inside. She replied that she didn’t have it with her, so Anderson tagged the trunks and told her that she could come back and pick them up – with the key – but they would be held until he could inspect them properly. With that, the pretty young owner simply nodded and disappeared into the crowd. 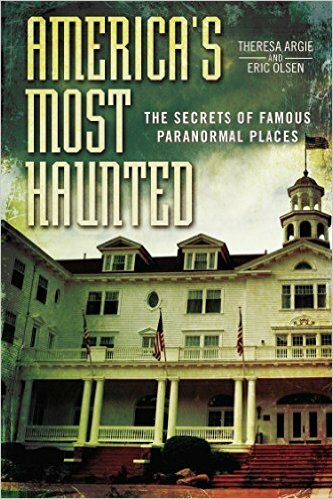 …When LAPD arrived, they promptly picked the locks on the luggage. 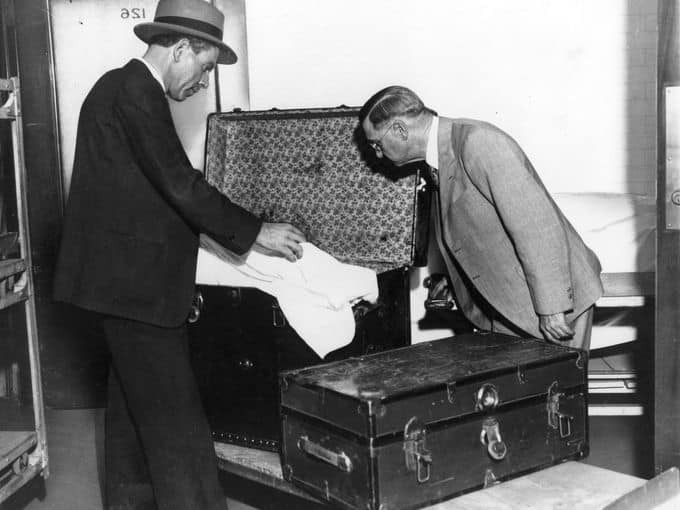 Inside one black steamer trunk they found the intact body of a woman in her early 30s. The body was doubled over and just fit inside. In the second trunk they found the severed head, torso (with arms), and lower legs of another woman who appeared to be in her mid-20s. Winnie Ruth McKinnell was born in January of 1905 to a Methodist minister and his wife in Oxford, Indiana. Little is known about her younger years, but by the age of 17, Winnie – who went by her middle name, Ruth – was married to William Judd. He was a doctor and World War I veteran that was more than twenty years Ruth’s senior. Together the unlikely couple moved to Mexico where the doctor became even more addicted to morphine. This strained the relationship to it’s breaking point and Ruth struck out on her own (though she and William Judd remained in constant contact). 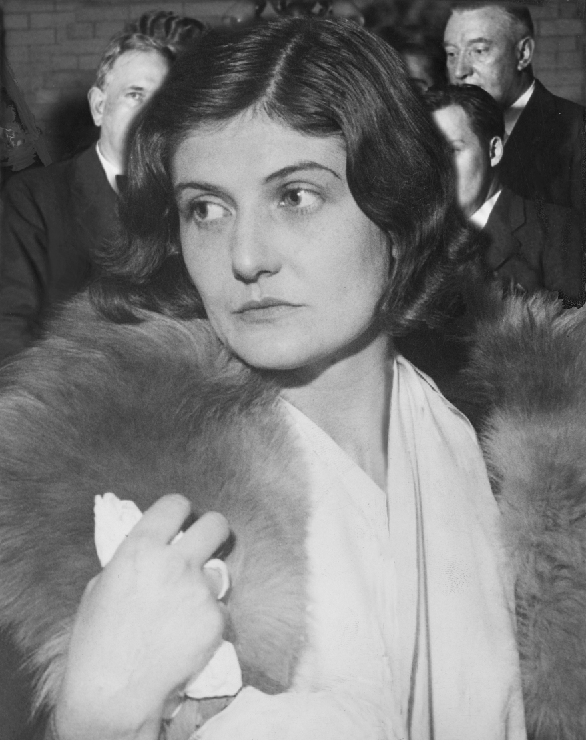 Ruth Judd eventually moved to Phoenix, Arizona, where she worked as a nanny for a wealthy family. It was during this time that she met “Happy Jack” Halloran, a 44-year-old businessman and politician. Even though Jack was long married, he was known for having many affairs, and the much younger Judd certainly caught his (wandering) eye. It wasn’t long before the two fell into bed together. It’s unknow n if the affair is what caused the job change, but Judd shifted from childcare to working as a medical secretary while she was involved with Jack. She met many friends there, including X-ray tech, Anne LeRoi and her roommate Hedvig “Heddie” Samuelson. The three women became close and Judd even moved in for a time. But petty arguments drove them apart and Judd moved out on her own again shortly thereafter. 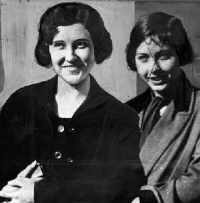 Then, suddenly, on the evening of October 16th, 1931, Anne LeRoi and Heddie Samuelson were shot dead in their apartment with a .25 caliber handgun. The killer was their ex-roommate, Ruth Judd. After the murders, Ruth supposedly stuffed LeRoi into a steamer trunk and tried to do the same with Samuelson, but Heddie’s body wouldn’t fit. So then Judd dismembered her, putting her back into the selected trunk – in pieces. Then Judd called a car, had the trunks loaded, and went to the train station where she got an overnight ticket to Los Angeles. Click over to Clarissa’s Criminal Code site for the rest of the story and her cogent analysis, and of course listen to the program!